In the arena of spirituality, there are unique and remarkable spiritual people who have achieved the highest levels of spiritual development. Some remain in seclusion, while others become spiritual teachers who support the spiritual transformation of humanity. But to meet a Gnani Purush (embodiment of Self knowledge), and to access their spiritual power to achieve spiritual enlightenment, is extremely rare. One such Gnani Purush of recent time is Dada Bhagwan. 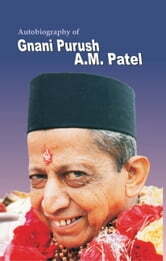 The book “Autobiography Of Gnani Purush A.M.Patel”, compiled from transcribed satsangs, describes his own process of instant enlightenment in his own words. Before achieving sudden enlightenment, Dadashri had led a spiritual life of tremendous spiritual awareness. Whether on a spiritual quest to discover what is spiritual enlightenment, or to learn about great spiritual people of recent history, this book is certain to inspire any spiritual seeker. Quicklet on Steve Jobs by Walter Isaacson: Want to learn about Steve Jobs? Our Quicklet teaches you everything you wanted to know about Steve Jobs in a fraction of the time!